FLAIR templates available | Brainder. 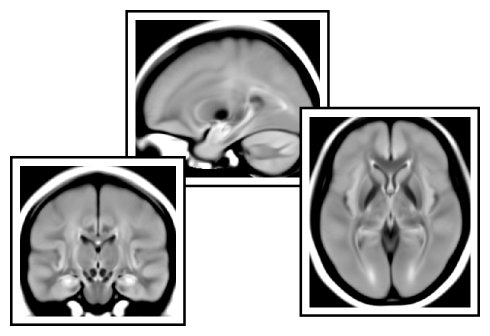 A set of brain templates constructed using fluid-attenuated inverse recovery (FLAIR) images are now available for download here. These templates can be used, for instance, to help to automatically identify white matter hyperintensities (WMH; e.g. leukoaraiosis, multiple sclerosis) from magnetic resonance images (MRI), or as target for registration of other individual FLAIR images without the need of a matching T1-weighted image. Two versions are available, based on the full or on a restricted sample, each of these in three different resolutions (0.7 mm, 1.0 mm and 2.0 mm). In addition to FLAIR, templates for gray matter (GM), white matter (WM), cerebrospinal fluid (CSF) and T1-weighted (T1) are also provided. Follow the link above for more information and to download. This entry was posted in Neuroinformatics, Volumetric models and tagged flair, hyperintensity, leukoaraiosis, mri, template, white matter hyperintensity by A. M. Winkler. Bookmark the permalink.